Sister Josephine Gorman, Sister of Compassion. I was born in Waimate but lived on our high country family farm in the Hakataramea Valley, about 60 miles from Waimate. On becoming a Sister of Compassion I had the privilege of working in our different apostolates but I have spent most of my time at Island Bay. In 1979 I was transferred to Broken Hill, Australia and three years later moved to our mission in Wilcannia, Western New South Wales. From Australia I went to Fiji where I spent the next 10 years. In Fiji courses were being offered in library and information studies; I became interested and enrolled in this programme, hoping that one day when I became older, I might work in a library. Towards the end of my time in Fiji, I was asked if I would like to help Sister Bernadette Mary, our archivist for the Sisters of Compassion. I readily accepted thinking, even though it is not a library, it might prove quite a challenge, which it has. I have now been the archivist/historian for 15 enjoyable years. On my first day the first piece of advice I received was,‘to read everything in our collection’. My main role as archivist is to preserve the spirit and memory of Suzanne Aubert, and the tradition of the Sisters of Compassion. I record our history and maintain the Congregation’s records, manuscripts and documents. These include about 825 letters written by and to Suzanne Aubert that have been gathered over the years, and are now preserved in our Home of Compassion Archive. Archival work and the history of New Zealand and our Congregation soon became my interest and today it is my passion. The Sisters of Compassion have always had archives. The early moments of our history have been captured in the memories of our early sisters and handed on to us. As time passed, their recollections were recorded by Sister Angela Moller, our first archivist, who wrote a seven volume typescript called The Life and Times of the Foundress, based on the collection of material being accumulated. This seven volume account we call the ‘Reminiscences’. As the Congregation grew, more records were kept, and it became necessary to house them in a purpose-built building. During 1969 the present archive building was planned to house the memorabilia of Suzanne Aubert, and other artefacts, and to have them on display for interested people. This is done in the ‘Heritage Centre’. Suzanne Aubert had a sense of the importance of history, and kept copies of correspondence and all important documents and newspaper cuttings. As Suzanne Aubert was a pioneer in the social history of our country, and because of her contribution to Māori language, our archives have a value beyond the Sisters of Compassion. Researches frequently ask for information on Suzanne Aubert, to aid them in their research. Interest in local history and family history has never been stronger than today. Many of the children who had formerly been under our care are researching their ‘roots’. Such records may help to provide them with a sense of identity and belonging. Relatives of the sisters also ask for information about their family member. I am now involved in promoting the cause of the sanctification and beatification of the servant of God, Suzanne Aubert and supporting Father Carmody the postulator for the cause. I know I am blessed and supported in the work I do. 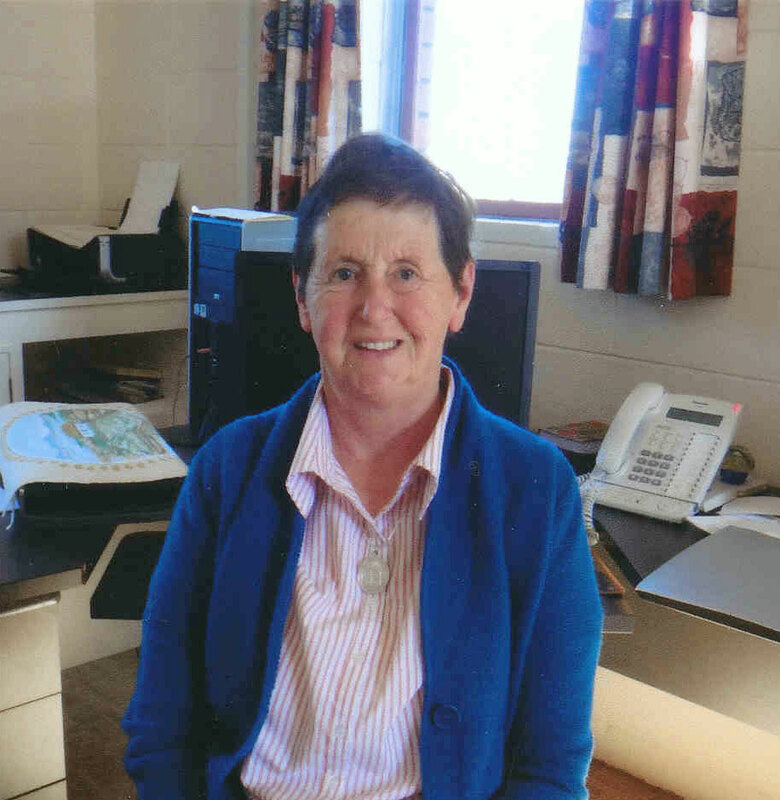 I feel privileged to be working alongside Father Carmody, Sister Margaret Anne, the sisters of the Sisters of Compassion, John Bergin, Henare Walmsley, Gerard McGreevy, and Mike Fitzsimmons in promoting the knowledge and spirituality of this amazing person. St Pope Paul VI, once said: Archives are the Footprints of Christ on the world.